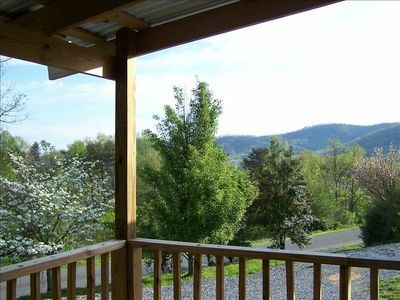 2BR Sevierville Cabin w/Mountain Views! 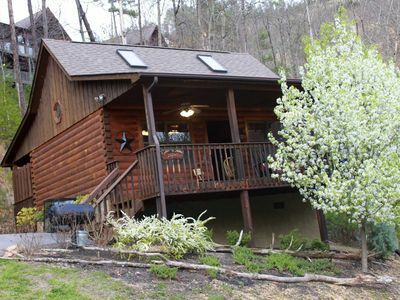 A relaxing and rustic getaway awaits you in this 2-bedroom, 3-bathroom Sevierville cabin! 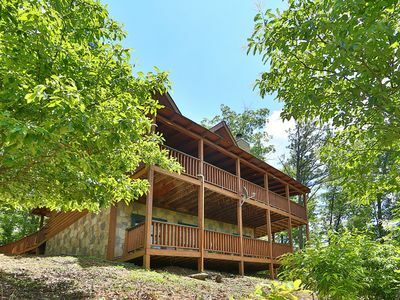 This spacious vacation rental home can comfortably accommodate 10 guests throughout 2,488 square feet of gorgeously appointed living space to make for an unforgettable escape with family or friends. 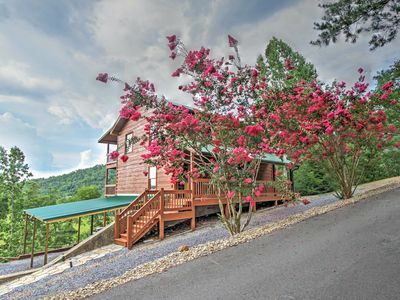 With high-end amenities and a scenic mountain location, you're sure to get the most out of your Tennessee retreat here! There's no better way to make your vacation dreams become a reality than by staying in 'Hopes N Dreams'! 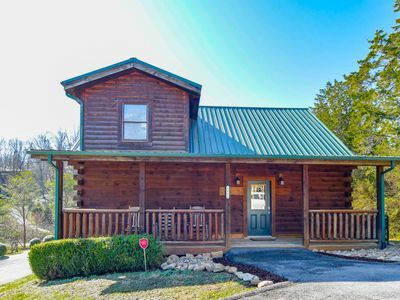 Step inside to find a stunning interior with an open concept floor plan, lined with charming wood furnishings for the cabin-style feel you've been searching for. 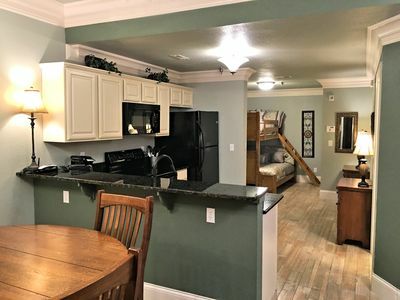 You'll also delight in the cozy living room, 2 recently renovated bedrooms and an appealing kitchen with all of the necessary cooking appliances needed to concoct your favorite family recipes. 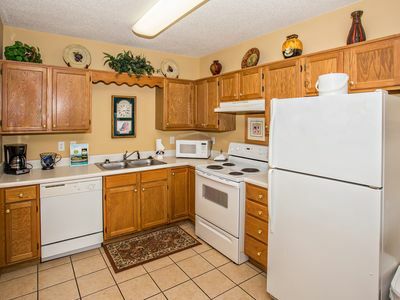 Many conveniences that you can spot in your own home are provided here, including complimentary toiletries, an in-unit H.E. 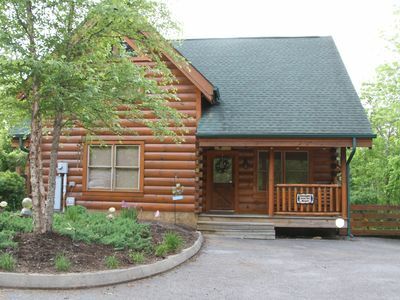 washer and dryer, 4 flat-screen cable TVs, and wireless internet access. After your exploits have finished for the day, look forward to a variety of ways to unwind upon your return! 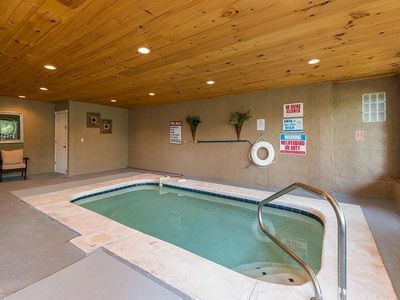 Challenge your pals to a rousing game of pool or air hockey in the game room, or kick your feet up in the living room by the fireplace with a good page turner in hand. 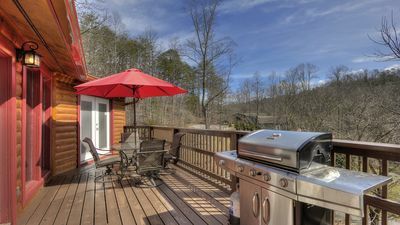 When your evening appetite sets in, cook up a mouthwatering meal on the gas grill that you and your loved ones will savor, and afterward enjoy an evening dip in the private hot tub to ease your body and mind. 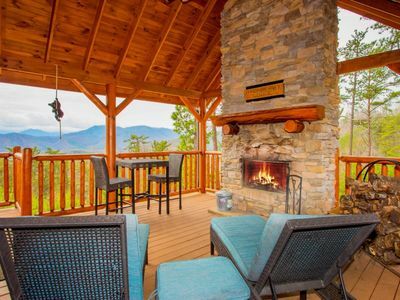 Cap off the night by laughing and sharing memories with your companions on the private furnished deck overlooking the impressive Wyndham Smoky Mountains in the distance. 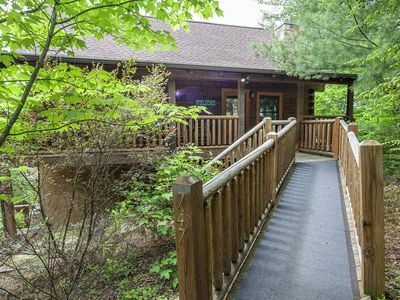 Numerous nearby attractions help make this property's location one of its best features! 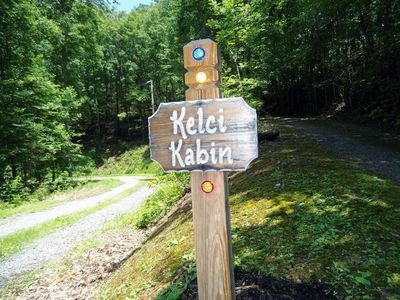 You and your family will love nearby Dollywood Theme Park, which offers 40 rides, 15 exceptional shows and 5 of the South's largest festivals. 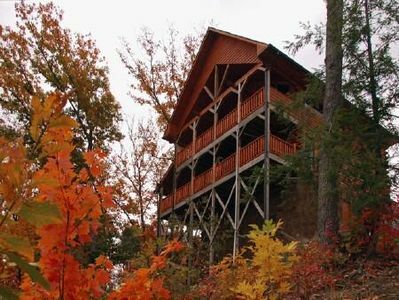 Visit nearby Pigeon Forge and Gatlinburg to go sightseeing, tubing, and shopping. There are also various fine dining options within arm's reach for you to indulge in to end your adventurous days on a high note. 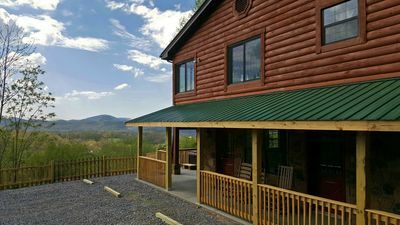 No matter how you decide to spend time on your Tennessee excursion, make this wonderful Sevierville vacation rental cabin your choice for an extraordinary stay! 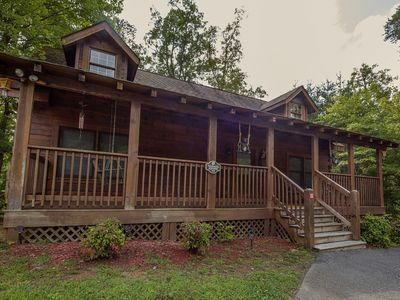 - Amenities include 4 flat-screen cable TVs with SmartTV, Keurig coffeemaker, wireless internet access, fully equipped kitchen, dishware and flatware, game room, air conditioning, fireplace, gas grill, private hot tub, private furnished deck and much more! 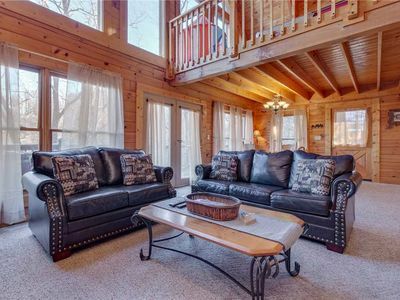 Cozy & Perfect For A Romantic Getaway! 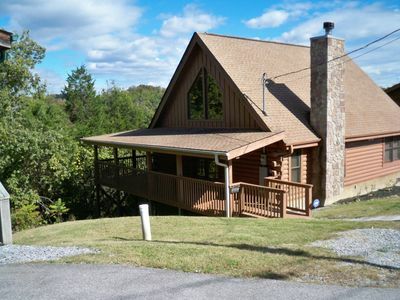 Gorgeous Lodge 4 BD/3 BA, Game Rm, Wet Bar, Fireplaces, Hot Tub, No Steep Roads! 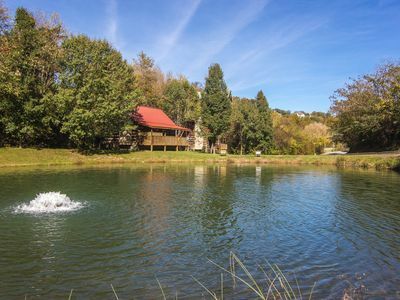 ER 244 – Black Hawk Hideaway | Great Location – Close to town! 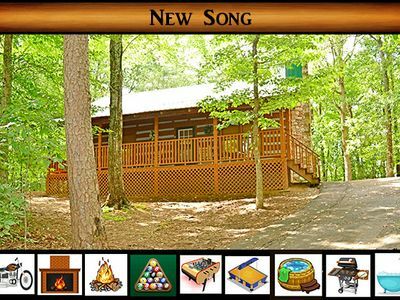 ER77 - TRANQUIL ESCAPE - CLOSE TO ALL THE ACTION! 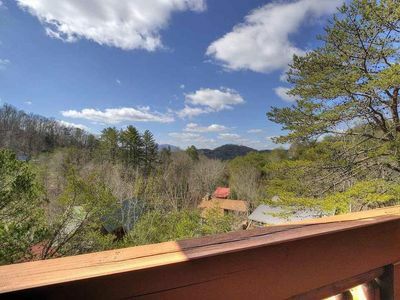 Amazing Mountain Views! Pool Table, Hot Tub, Air Hockey, Foosball! Free Pool and Putt Putt Access! !